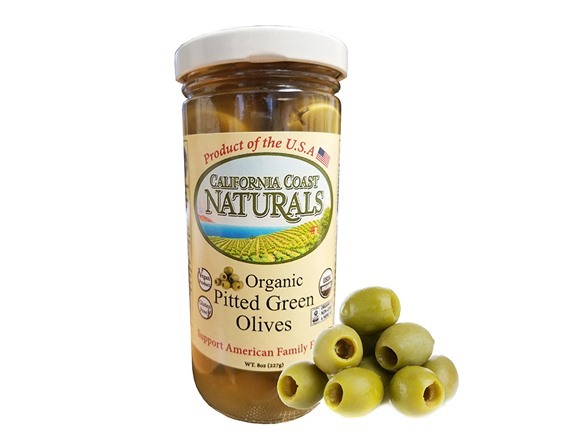 (1) - Organic Pitted Green Olives, 8 oz. 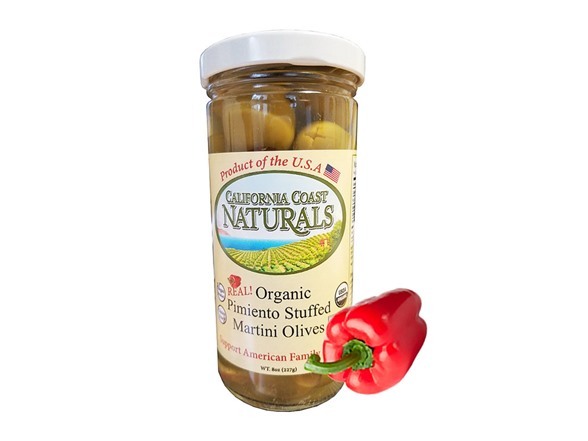 Organic Pitted Green Olives in a brine of Apple Cider Vinegar and Sea Salt. 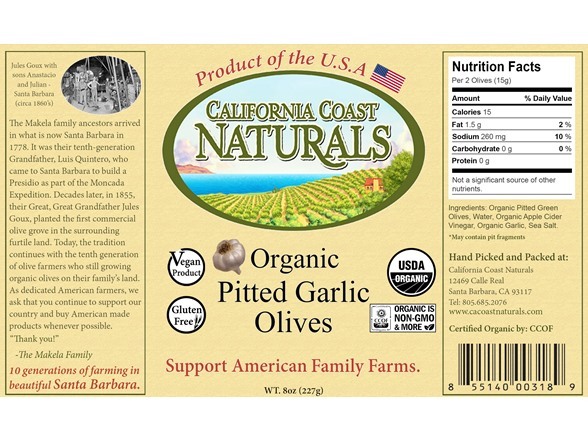 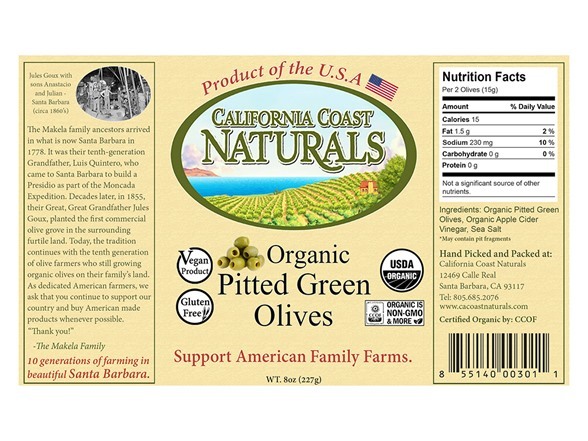 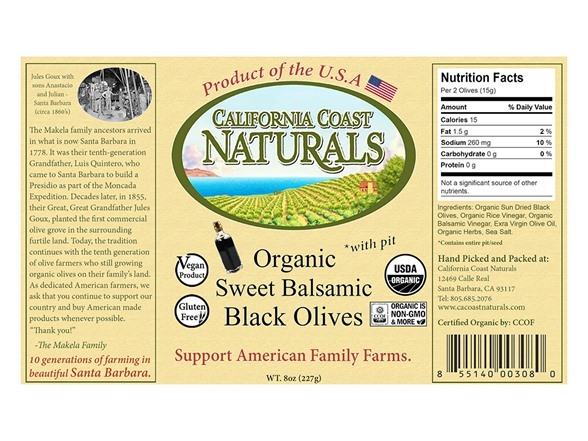 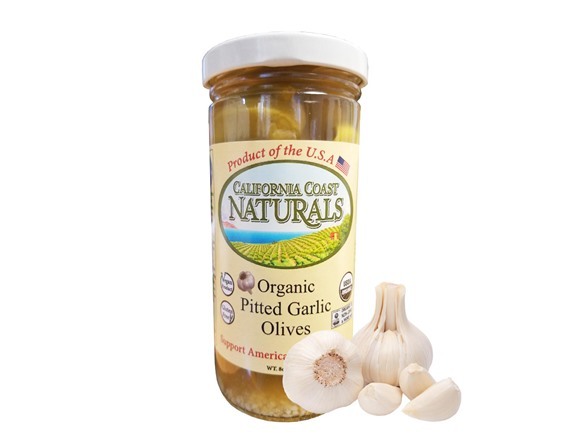 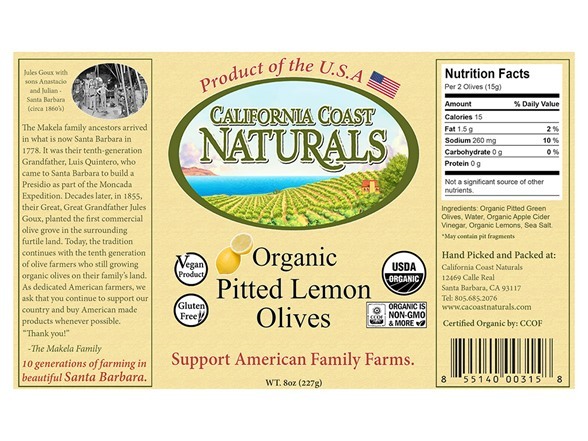 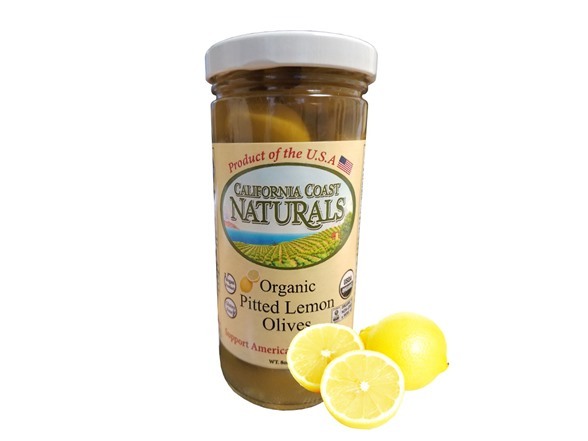 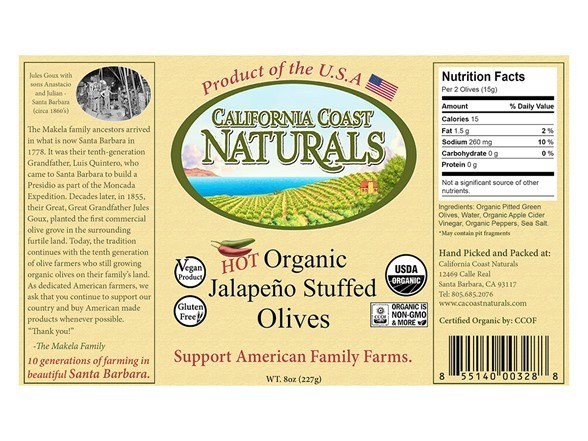 Tasting Notes: These Green Olives grow along the sunny Gaviota Coast at the Coastal Olivos Del Mar Farm. 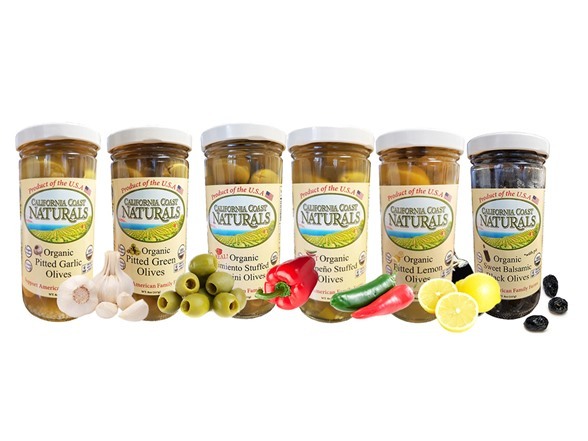 We carefully select and then hand-pick only the finest, field-run green olives. 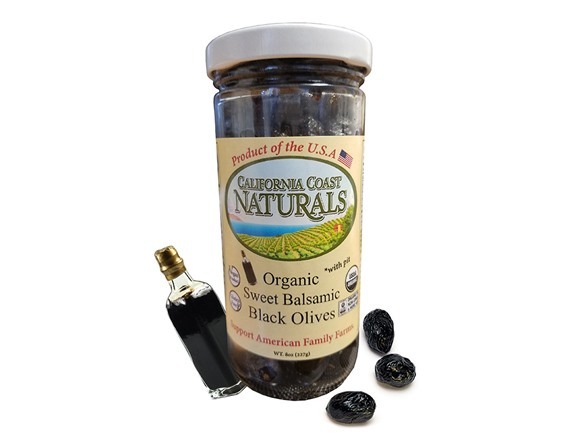 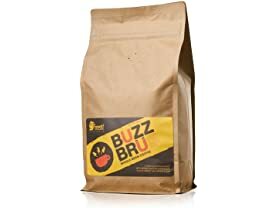 These olives are cured in a natural salt solution, then they are hand-packed into glass jars for the customers to enjoy. 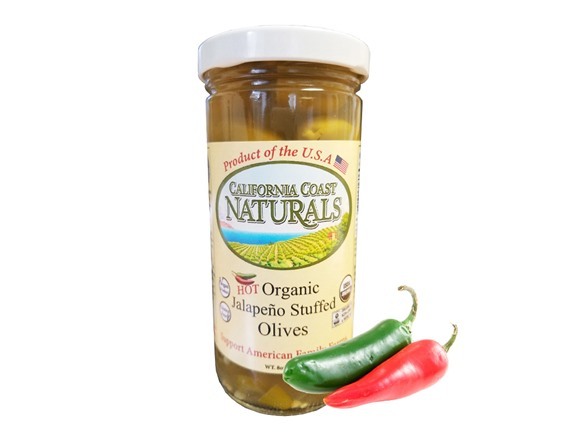 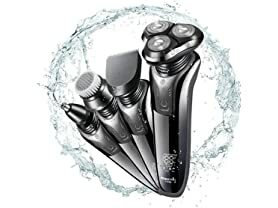 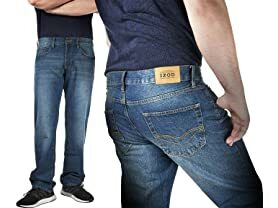 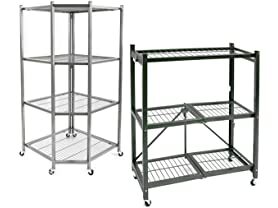 Olivos Del Mar is proud to provide a product that never comes in contact with chemicals or machinery.